Shibamata is one these areas that is touted as harboring the true legacy of the shitamachi spirit. The reason why it became famous is not due to its exquisite heritage, but a movie series that put this part of town on the map. It is located on the eastern edge of Tokyo, on the border with Chiba prefecture. The movie series “It’s Tough Being a Man” (Otoko wa tsurai yo) stars Tora-san, a good-hearted traveling salesman with a big mouth. 48 movies were shot over 26 years (from 1969 until 1995), making it the longest movie series ever. In each installment, Tora-san is traveling around Japan, but always returns home in the end to his hometown Shibamata. Perhaps due to these movies, the shitamachi character has been well preserved. In particular the Taishakuten Sando, a 200-meter-long main approach to the Taishakuten temple, is lined with beautiful shops. Most of the shops are there for half a century or more and serve delicacies that are hard to get by elsewhere in Tokyo. At the end of this street you have the intricate wooden Nitenmon Gate that gives you access to the temple. 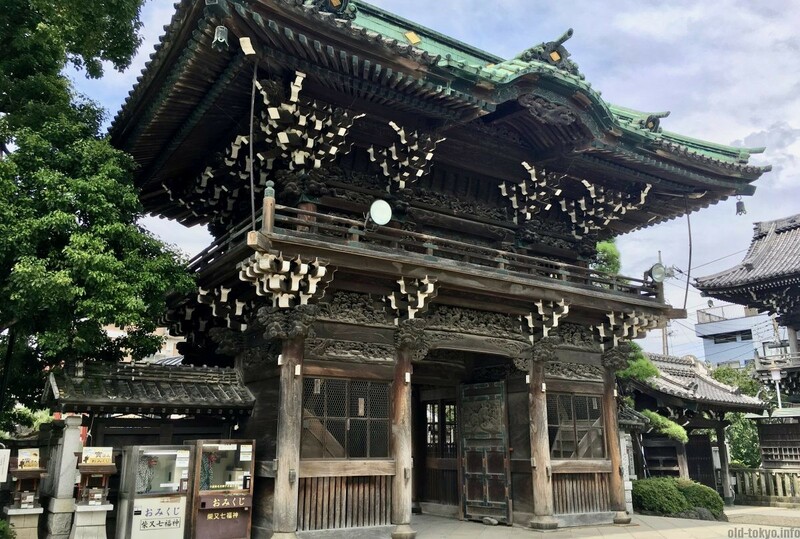 The Taishakuten temple is the main reason why and how this town has developed in the past. Shibamata is currently located inside of Tokyo city (within the 23 wards), but right on the border with Chiba (on the other side of the Edogawa river). In the Edo period (1603-1868), this town was not part of Edo (old name for Tokyo), but was only added after the administrative reform in 1932. 200-meter road that leads up to Shibamata Taishakuten Temple. It is filled with street food stalls and little shops. 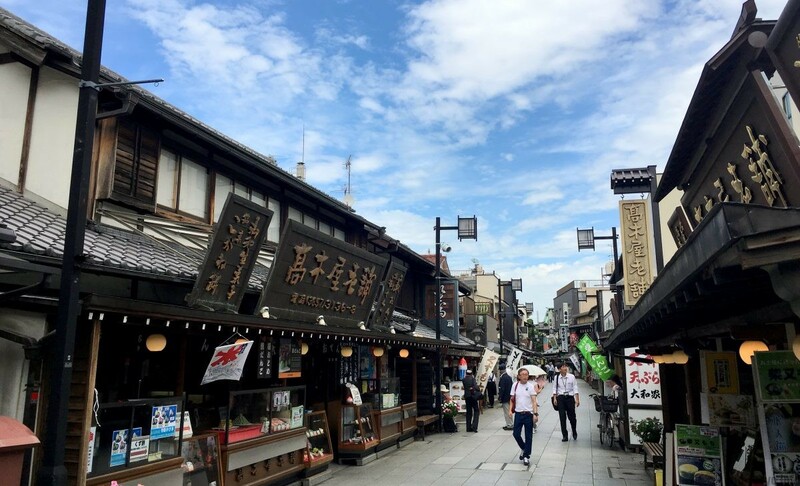 Most of these shops have retained a traditional character and feature authentic wooden signboards that make this street one of the most beautiful in Tokyo. 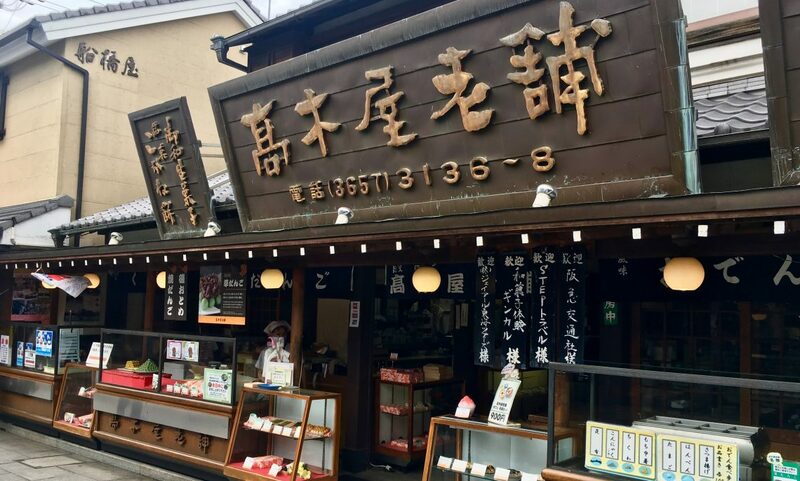 Eating the local snacks, in particular the kusa-dango, is what makes a visit to this street complete. Read more. 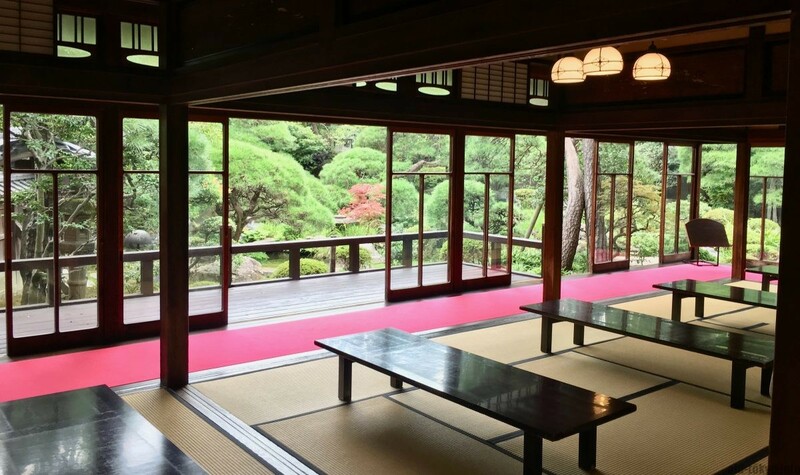 Nichiren temple with an impressive Nitenmon Gate and beautiful wood carvings gallery. These wood carvings were made in the period between 1922 and 1934 and depict the lotus sutra. In addition, you can immerse and relax in a Japanese garden with wooden walkways going around it. Read more. Japanese house in which Western elements and techniques are incorporated. It was built mid 1920s and has been heavily renovated between 1926 and 1930. It was the former residence of Einosuke Yamamoto, a Japanese industrial who established a nearby camera components manufacturing plant. The house is an excellent example of sukiya-style residential architecture. Read more. Museum dedicated to Tora-san, the main character in the movie series “It’s Tough Being a Man” (Otoko wa tsurai yo). 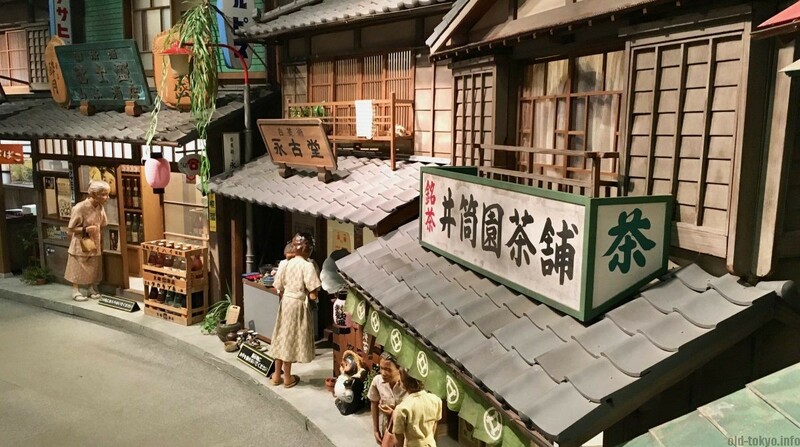 48 movies were shot over 26 years (from 1969 until 1995), making it the longest ever movie series ever, and thanks to these movies, Shibamata became an important tourist spot in Tokyo. Read more. Another often advertised thing to do in Shibamata is the Yagiri no Watashi crossing.